Here’s where you will find the questions we are most frequently asked. Have others or need help? Please feel free to contact us. Note you can “toggle” and find answers to the questions listed by clicking on the plus (+) sign to the right of each question. What types of equines can be registered? Any mule, donkey, zebra, horse, any breed, any breed cross - even unknown breed or lineage - of any age, any size — any where in the world, may be registered with International Horse Registry. (I.H.R.) In other words ANY equine. 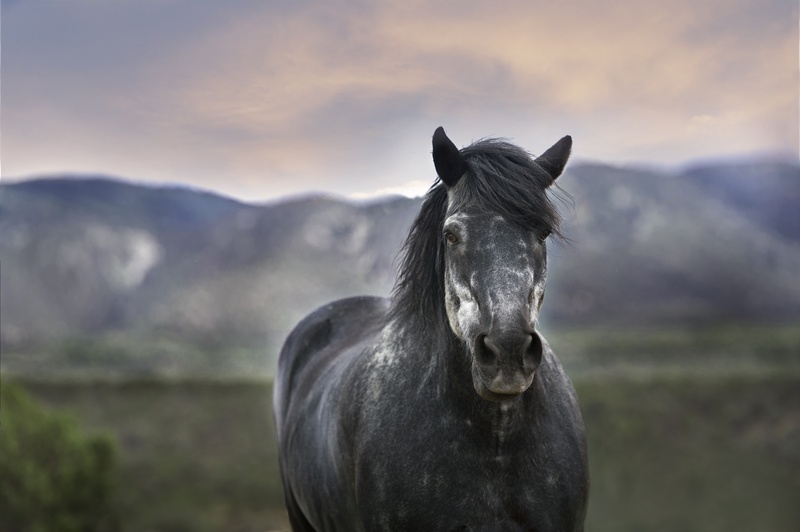 Registered with a breed association – or not – you can register your horse/equine with I.H.R. and you’re going to find exceptional value in the services we offer. What ages can be registered and how is age verified? No it does not matter how old your equine is. Yes, you can register any equine. If your horse/equine is two years of age or under on the date of registration we will state age as “verified” on your Registration Certificate. Otherwise, there are 2 general options for stating the age of your equine on your certificate. If you provide proof of the date of birth, for example a copy of a breed registry document, we will include that date on your registration and the date of birth will show as "verified". If your horse is not registered in a breed association and is over two years of age, we will accept a simple signed note from your veterinarian on a prescription pad sheet, or letterhead, stating the age of your equine/horse. If you provide the above vet verification/estimation of age, your Registration Certificate will state Age “verified". We strongly advise the above options as a way to increase the value of your equine if you choose to sell. You may also choose to provide an approximate age because we understand that when we buy or rescue a horse, they often come to us without a known history. If you choose not to exercise the option to have a veterinarian estimate your equine's age, please note the age field on your Registration will state "unverified". What name will appear on my I.H.R. Registration? You do not have to use a call name, you can use any name you want. Have fun! Surnames will change as horses are sold and transferred into new owner's last name. Of course, registration numbers DO NOT CHANGE! What information will appear on my I.H.R. Registration? Your certificate will of course include two pictures, provided by you, following the guidelines above. It will also have your I.H.R. registration number and the name you chose for your horse/equine. You can check out all the details on a "sample" document by clicking here. What about updates, address changes, etc.? If you move, or have new details such as additional disciplines, training, identifying marks, scars/tattoos, or health information to add to your International Horse Registry Registration, please use a Transfer Form. The fee will be the same as the Transfer of Ownership fee. If the horse has changed significantly, for example changed from black to grey, or has any new significant scars, tattoos, branding, etc. or grown up since first being registered, you may submit a new set of pictures, along with a Transfer Form. Changing pictures on a certificate is at our discretion and the fee will be the same as the Transfer of Ownership fee. We will reprint and re-issue a certificate for $10 CDN. Please note if you need to make changes, you will use a "Transfer" document. How do I qualify for a discount on Registration? Any equines seized or adopted out to new owners by the SPCA, any where in the world, are eligible for a discount. Any registered Rescue Organization or Society will also receive discounted rates, and those who adopt from the same, who provide documentation that their equines were rescued are also eligible for a discount. Documentation must accompany the registration application for discounts to be issued. International Horse Registry also offers discounts for equines, again, any where in the world who are tested through a recognized testing facility for PSSM and 5 panel. If, you would like a discount, documentation must be submitted at the time of application. I bought a horse and didn't fill out a transfer form right away, is there a late fee? Other organizations have annual membership and annual fees, do you? No, unlike other organizations we do NOT have annual membership or annual registration fees. I purchased a colt/stallion, is there a time limit to geld? Must I geld? The date of gelding is agreed betweeen parties. We are strongly encouraging gelding to help regulate breeding as part of our program and goal but we don't force it upon sellers/buyers. Will my information remain attached to my horse's file even after I sell? Yes, when you sell a horse registered with International Horse Registry your information will be tied to that horse for the duration of its life. This is part of our mission to help future owners with doing the best possible for your horse throughout its life. PLEASE NOTE: International Horse Registry can not verify information supplied or take responsibility for any false statements. Buyers are strongly encouraged to verify all information provided by a seller.